One of the most popular things I think people use youtube for is listening to music and watching music videos. Certainly there are hours of footage from live concerts to people simply playing songs along with video of the lyrics. Just to prove the point here’s a very simple video of Arthur Rubinstein playing Chopin’s Nocturne in EbM Op.9 No.2. The fact was brought home to me the other week while I was at Quebec House doing some filming. When I explained to a member of the public what I was doing her advice was simple “if you play some music over the top of it you’d get people to watch it”. So armed with my trusty HD video recorder that’s exactly what I’m planning to do…. 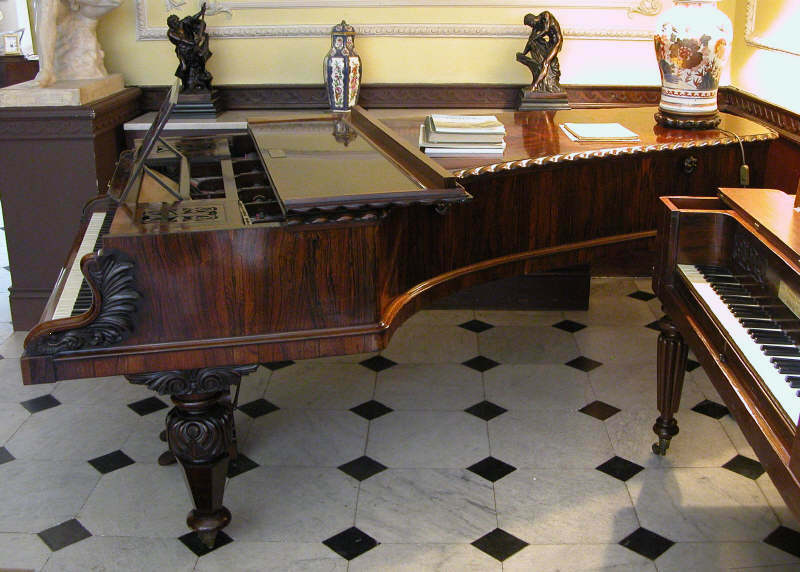 Hatchlands Park is the home to the Cobbe Collection, among the collection are three piano’s closely related to one of the favourite composers of the 19th century Fryderik Chopin. I can’t think of personally a better way to connect with musical items in a collection than actually seeing and hearing them played. In fact Hatchlands already has an audio guide. So the idea is to use the a combination of images and footage to create a 3 minute video for in this case Chopin’s pianos for web use. It’s not going to be a full concert, in fact the if the video above is anything to go by the more simple a video is the better, but it will hopefully bring the objects to life. I’ll let you know how I get on, so keep tuned!